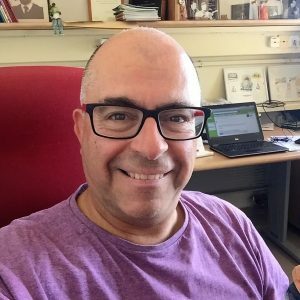 In this Q & A I talk to Mel Rosenberg – a man on a mission to popularise the use of ebooks in education by allowing teachers and students to create and publish their own ebooks using his simple browser-based tool. 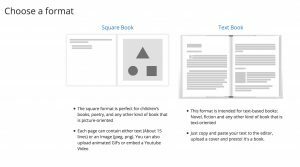 Ourboox is the world’s simplest free platform for creating page-flipping e-books that incorporate not only text and pictures, but also videos, maps, quizzes, games, puzzles and much more. Our digital books can be created individually or in groups. They can be written in any language or combination of languages. They can be shared privately or with the world. They are educational, easy to create, and great fun. We launched in 2014 and already have almost 8000 books in twenty languages. Who is Ourboox targeted at? Ourboox can be used by children (with supervision) and adults, writers, illustrators, educators, anyone who wants to share colorful content in e-book form. Why did you create Ourboox? 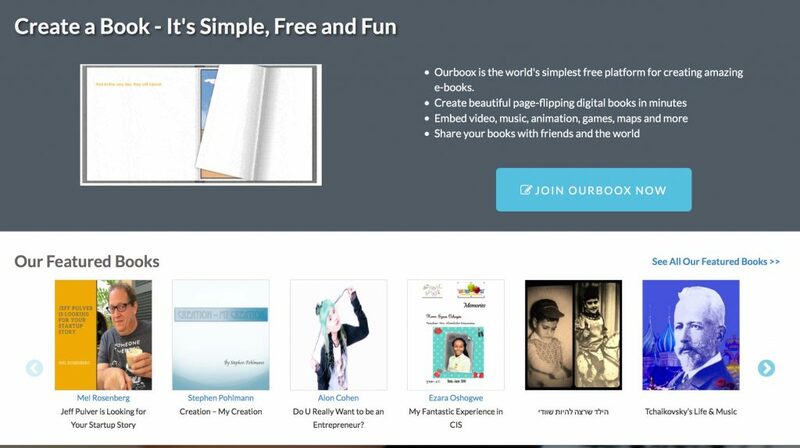 Ourboox was originally envisioned as a simple platform for e-publishing children’s books and books of poetry. I write stories for children and my wife Shuli Sapir-Nevo (Ourboox CEO) is a poet. We had previously spent a lot of money self-publishing books that were very difficult to distribute. We hoped that a simple platform would bring together writers, illustrators, photographers. I found a genius web developer, Ran Shternin and the rest is e-history. What do you feel is special about Ourboox? Firstly, there is no other platform that is easier to use when it comes to creating free digital picture books. 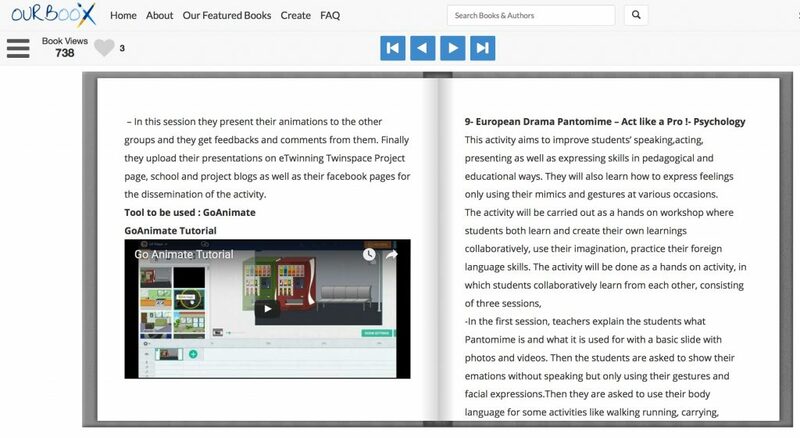 Ourboox facilitates ‘reverse literacy’. Until recently, a book was something that you interacted with passively, as a reader. Ourboox enables everyone to experience the exhilaration of being an author. When I was in primary school, I wrote projects about the animals and plants of Australia and New Zealand, the beautiful sites of Quebec city. In high school I wrote essays on Shakespeare. I would love to have these works to show my own children but they are gone forever. Now there is a simple way for students to create, share and preserve them online. Finally, because our books are free, we do not hide any of the text from search engines. 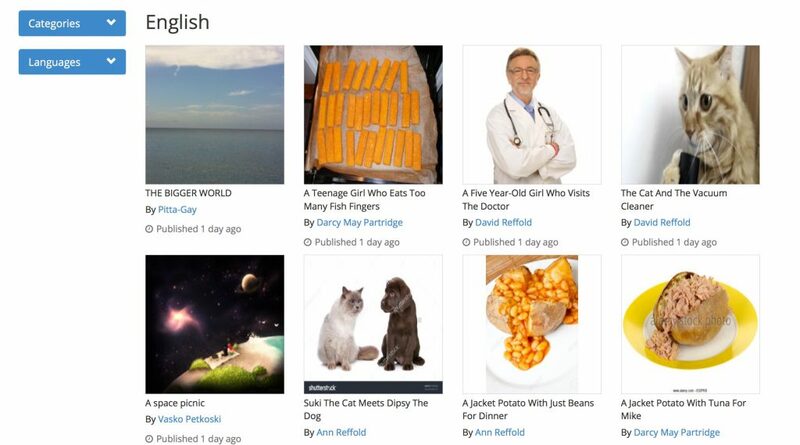 As a result, they rank our books very highly in search. What can Ourboox do that you can’t do with a paper book? On Ourboox you can write about your favorite rock band and embed a video from Youtube or Vimeo right into the book. You can write a story about your grandmother and embed a map of where she was born. You can embed a padlet and ask your readers to comment within the book itself. Paper books can’t do any of these things. What’s the business plan and how does Ourboox make money? We don’t have a business plan and we don’t make money. Actually, Ourboox loses money. The books are free to publish (no matter how long they are and how many you make), and free to share. There is no advertising on the site. So there is almost no revenue to speak of. Nevertheless, I am not worried. I believe that we will be financially successful. I just don’t know how yet. How would you like to develop Ourboox? We want to attract more quality books written by teachers and students worldwide, in dozens of languages. We are eager to have children writing books about their culture, their family, their grandparents, their aspirations. We need to develop further in this direction. We would love to team up with a publishing house to find a home for the manuscripts they reject, some of which are excellent, but not necessarily commercial. We also want to create the possibility of allowing readers to donate a small amount to the authors of books they like. This will keep the books free, yet create a revenue stream. I believe that teachers and professional authors will be able to make more money through donations than through the paltry royalties they receive elsewhere. What have been your greatest milestones so far? 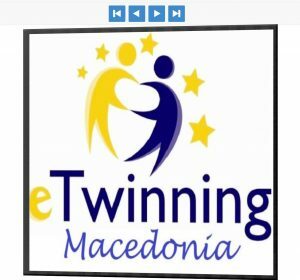 I guess that if I had to pick two milestones it would be the recognition by the local Ministry of Education and the beautiful e-Twinning books coming out Europe which have been viewed many thousands of times. Teachers have been slow to embrace ebooks and e-publishing. Why do you think that is? I think that is starting to happen now. Most of our current books come from schools! Previously, educators everywhere (myself included) have clung to their love for books made out of paper, and rightly so. And paper books will continue to exist. But versatile e-books that teachers and children can create and share online are the future, and I think that this will catch on in the coming school year. What can we do to persuade more teachers to use ebooks with their students? Mel Rosenberg is a Canadian-born scientist, educator, inventor, musician and writer. For most of his career he was professor of microbiology at Tel Aviv University. During this period, he invented a two-phase mouthwash and several other products for hygiene and microbial testing. Mel is a musician and singer, and has produced two CDs of jazz standards. He has taught at all levels, from kindergarten to university, and has written many books and films for adults and children on subjects dealing with science, creativity and self-improvement.